In this week’s NME, Alex G tells Radar that he developed his knobbly, homespun indie sound “in a self-taught bubble”. Unreleased track ‘Soaker’ is a perfect example of what the 21-year-old Philadelphian songwriter – whose full name is Alex Giannascoli – means. Recorded in the bedroom in which he made ‘DSU’, his recently released UK debut, ‘Soaker’ is pulled along by a soft guitar riff and Alex’s conversational lyrics. He says that its “All I ever do is soak through you” line is inspired by frustration: “It’s about a relationship where I just couldn’t connect with something. I was frustrated when I wrote it.” As with many of the songs on ‘DSU’, Alex turned frustration into an intimate indie-rock tune in the vein of Kurt Vile or Mac DeMarco. 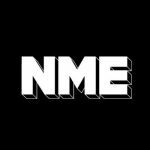 Read the NME review of ‘DSU’ here and check ‘Soaker’ out below.